As Gen pushes herself forward to find her new identity without Peter, she must also confront her most painful memories. Through the lens of an ongoing four act play within the novel, the fantasy of their undying love unravels line by line, scene by scene. Digging deeper into her past while exploring the underground theater world of New York City, she rediscovers a long forgotten dream. But it’s when Gen lets go of her history, the one she thinks she knows, that she’s finally able to embrace the complicated, chaotic true story of her life, and take center stage. Aftercare Instructions, an electric debut full of heart and hope, follows Gen on a big-hearted journey from dorm rooms to diners to underground theaters—and ultimately, right into readers’ hearts. 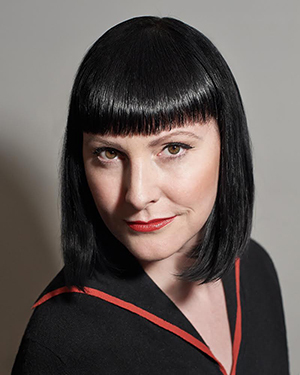 Bonnie Pipkin believes in prose, performances, puppet shows, and public displays of affection. Originally from California, Bonnie now lives in Brooklyn. She has an MFA from Vermont College of Fine Arts, teaches literature courses at Kean University, officiates weddings, and looks after a very cute cat. 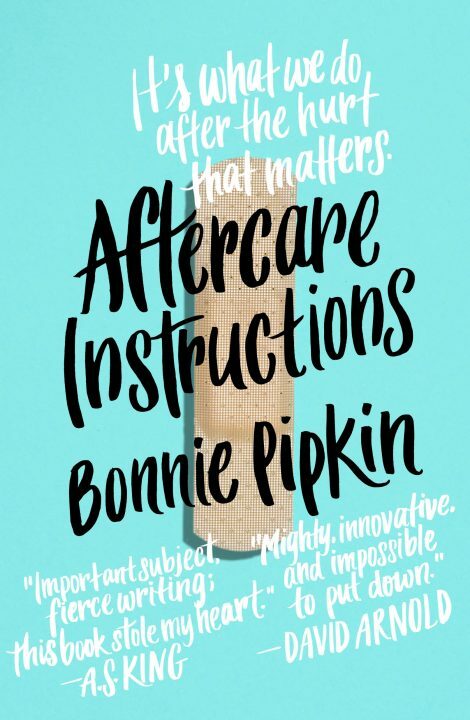 Aftercare Instructions is Bonnie’s first novel. 1. In the opening scene when Genesis realizes that Peter has left her alone at Planned Parenthood, she thinks to herself, “The choice was for us, not me.” What does it mean to make as personal choice as getting an abortion with someone else? How does Peter’s presence throughout the story guide Genesis’s decisions? Do you think his opinion is something she should have to consider in making her choices? 2. The author uses playwriting throughout the story as a way to shine light on Genesis’s past. How does do these scenes allow us to get to know Genesis better? How does this format clue us into important elements of Genesis’s character beyond simply providing a divide between past and present? 3. Throughout the story, we see a lot of family tension surrounding Genesis, and not just with her own family. Talk about the different family dynamics between Genesis and her own mom and Genesis and Mrs. Sage. How is Genesis the caretaker and child in both relationships? 4. How is the secret of Genesis’s abortion used throughout the story to create tension in the plot? Do you think it says something larger about notions on abortion in our society? 5. What does Genesis find in Seth that allows her to grow as her own person? How does this relationship compare with Peter’s and her relationship? How does it compare with her relationship with her dad?